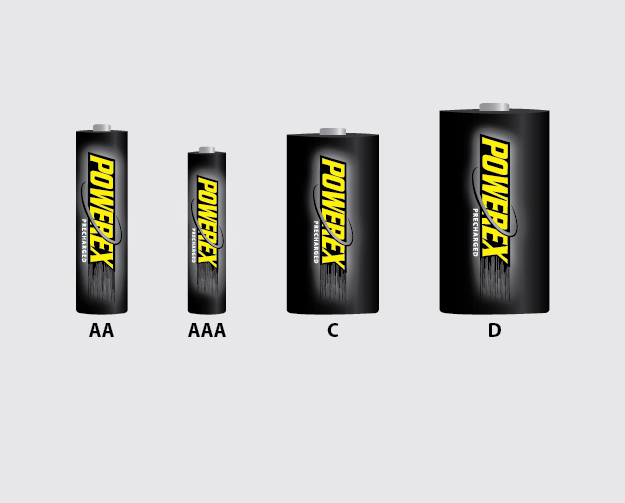 The Powerex MH-C808M Ultimate Professional Charger for 8 AA / AAA / C / D NiMH or NiCD Batteries charges up to 8 nickel-metal hydride (NiMH) or nickel-cadmium (NiCD) batteries of AA, AAA, C or D size. Its Powerex microprocessor with 0.001V resolution delivers just the right amount of current to each battery, ensuring that it does not get over- or undercharged. 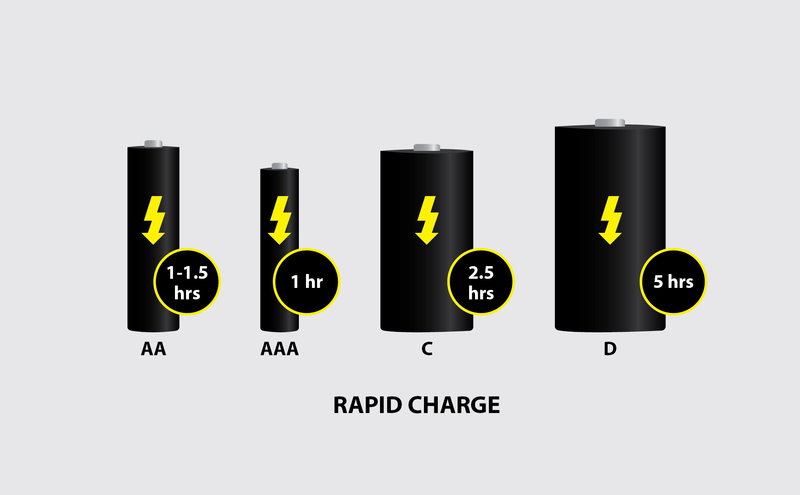 The charger delivers 2000mA of current for AA, C and D batteries, and 700mA for AAA batteries. This charger charges up to 8 NiMH or NiCD batteries of AA, AAA, C, or D size in any combination. Serious All-Sized battery charger for the serious user of rechargeable nickel-based cells. I got pretty tired of the 25-$30 crop of 8, 12 and 16-bay chargers that progressively reduce both Charging current and Refresh Discharge current as you load up the battery bays - for no obvious or technical reason. The AC/DC adaptor is large enough to handle 8/12/16x the advertised charging current for AA and/or AAAs. There's no noticeable charger heat but the charger won't do it. 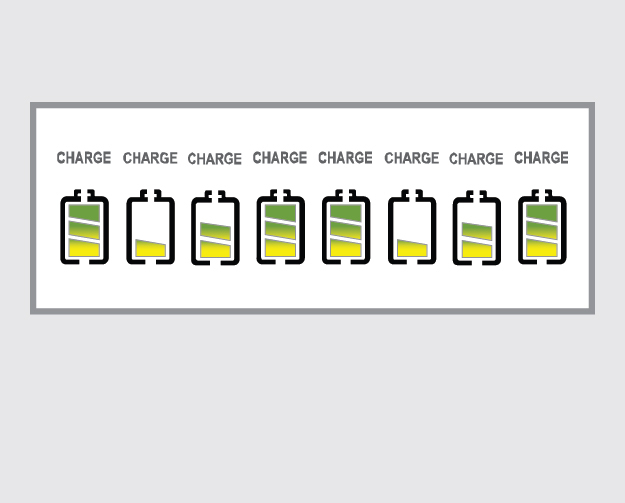 Discharging takes near-zero power but the charger will reduce that current per bay as you add cells to the available bays. Same with charging. Silly and measurable. And is why a full-boat set of AA or AAAs may literally take a day or more for a "Refresh" cycle. I have the no-nonsense, not cheap Maha PowerEx MH-9000 Wizard 4-bay charger/analyzer so thought I should finally spend the money on this thing vs. wasting $ and time on chargers for children. Bought this charger in 2010, and it's still doing a great job. 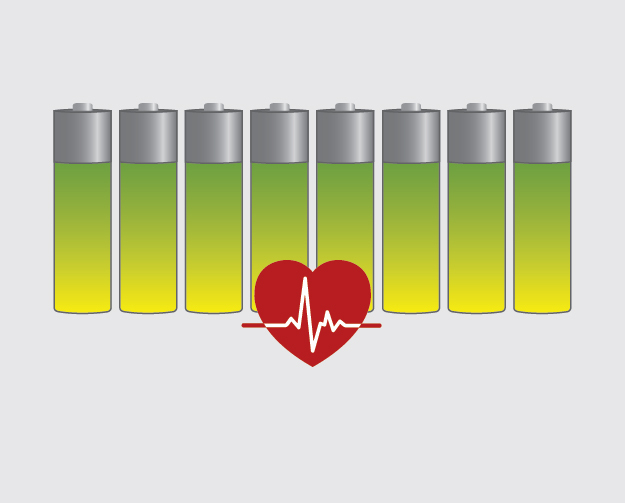 I primarily charge Eneloop, Tenergy, Canon or Energizer NiMH AA's, AAA's and a few C's. This charger's "conditioning" cycle has brought back numerous batteries other chargers wouldn't even recognize. And the "soft" cycle (which I often use in conjunction with "conditioning") is a nice feature that (to this non-techie) would seem to take better care of your rechargeables. In the first few months, it took a bit to learn the several features of this charger... but now it's all second nature. The power brick for this is a bit large as I'm sure other reviews have mentioned, but that doesn't bother me. I have this set up in a "permanent" place so it's always convenient to charge a battery (don't you always need to charge a battery like I do?). Since I purchased this in 2010, there are undoubtedly newer, possibly less expensive chargers out there, but if I had to replace this charger tomorrow, I'd go straight for it again. It proves itself every day as a great investment.